“Everyone must leave something behind when he dies, my grandfather said. Ray Bradbury made his transition from this world recently at the age of 91. Being over 90 is a venerable age and one where we do not say, “Why him? He was so young.” There is a point when we don’t seem to feel that a person has somehow died too soon. I met Bradbury once about seven years ago. He seemed old and venerable then but still an interesting man who had a lot to say. I wish him well on the next stages of his journey. 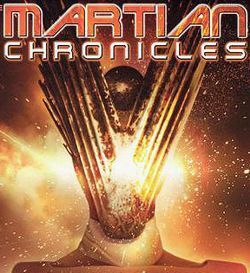 Bradbury wrote the short stories that comprise The Martian Chronicles (1950) in the 1940’s and they have woven a spell of mystery for me all my life (well at least since after I learned to read). The stories deal with the deaths of Martian and Earthly civilizations as told through the eyes of individual people’s life experiences. I have always felt (even though the stories do not actually say this) that the Martians finally all die out because they have lost the meaning of their existence and find the simple burden of staying alive too complicated and not worth the effort. I think that happens to some of us humans too. And for some of us it does not. Why? What makes life worth living? Bradbury also wrote Something Wicked This Way Comes (1963) in which laughter triumphs over all forms of bad stuff (I hesitate to call anything “evil”). Certainly, laughter gives us a reason for life.